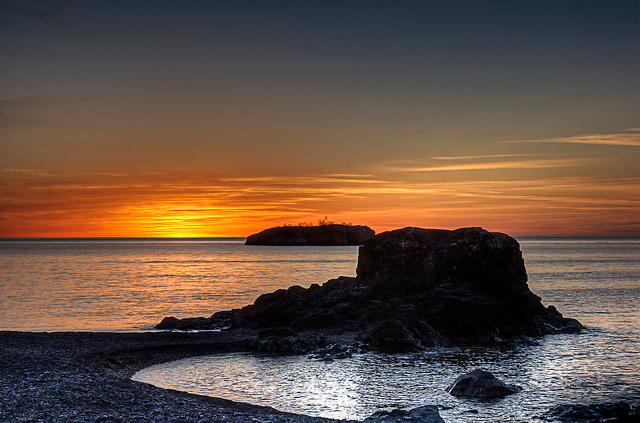 Silver Bay, Minnesota sunrise; photo by Randen Pederson on Flickr (use permitted with attribution). 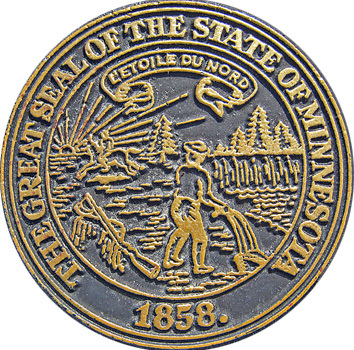 The state motto also appears on the great seal and the state flag, and one of Minnesota's nicknames is "The North Star State." State seal of Minnesota at scenic overlook outside of Granite Falls; photo by Drew Bennett (BenSpark) on Flickr (noncommercial use permitted with attribution / share alike).